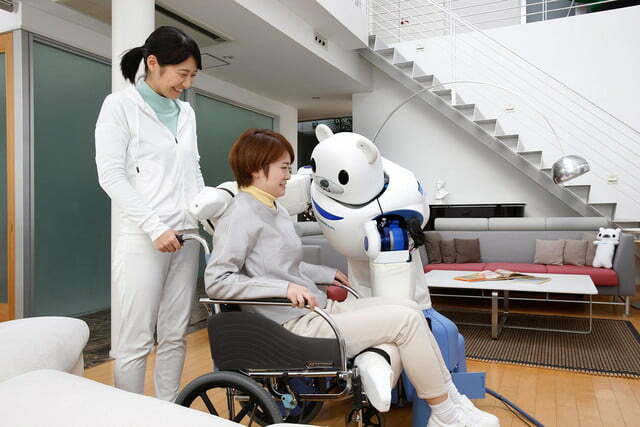 Japan has long been looking at how it might use robots to provide care for the elderly, and with a rapidly aging population, and a birth rate that continues to fall, the issue has taken on growing importance in recent years. 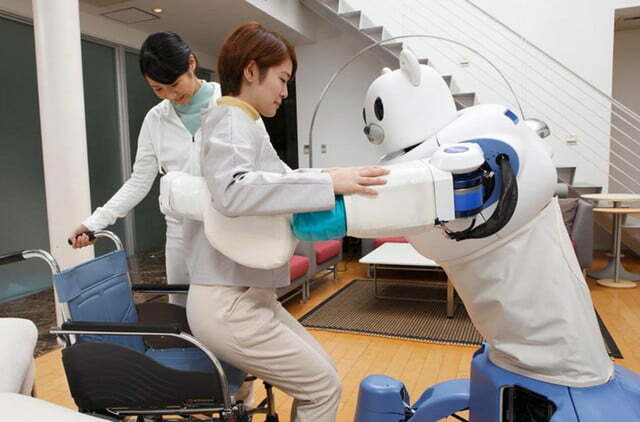 Enter the robotic nurse. 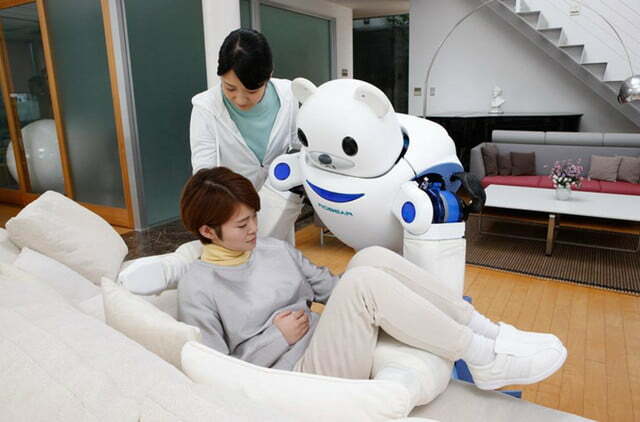 With a bear face. 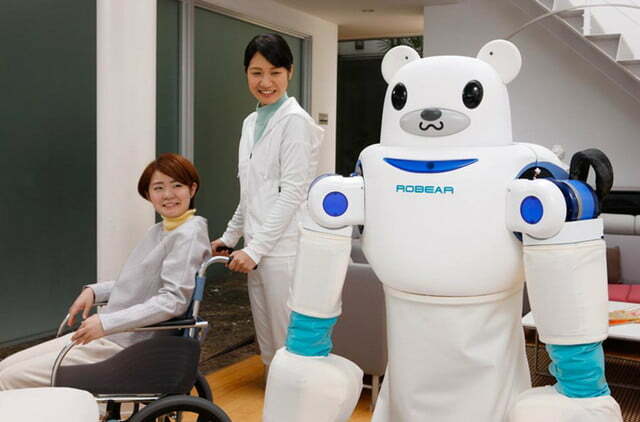 Developed by Japanese research institute Riken, the exquisitely named ‘Robear’ is the third prototype in six years, with each new version lighter and more functional. 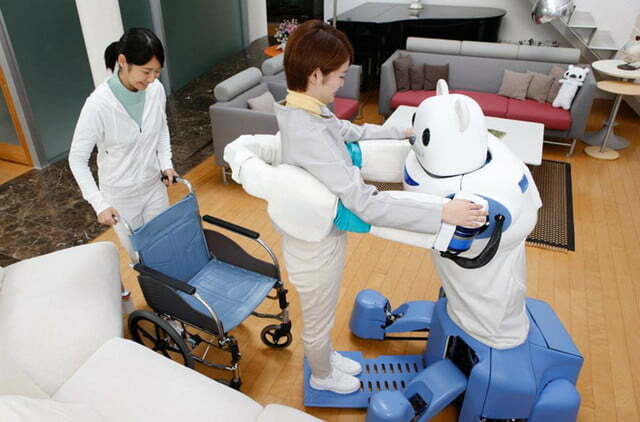 The robot’s clunky design has apparently been shaped by the tasks required of it. 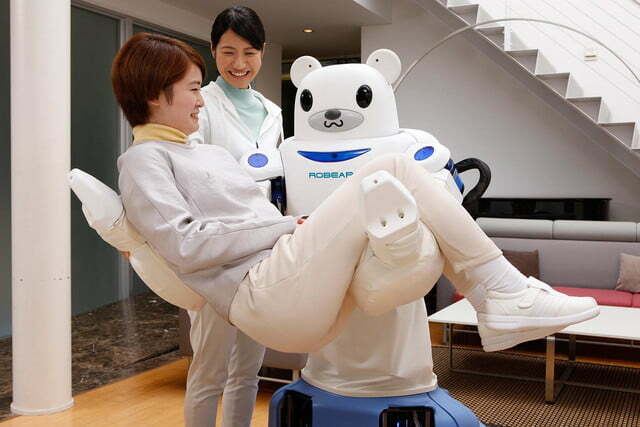 Tipping the scales at 308 pounds (140 kg), Robear is strong and agile enough to gently lift a patient from a bed to a wheelchair, or help them get from a sitting position to a standing one. 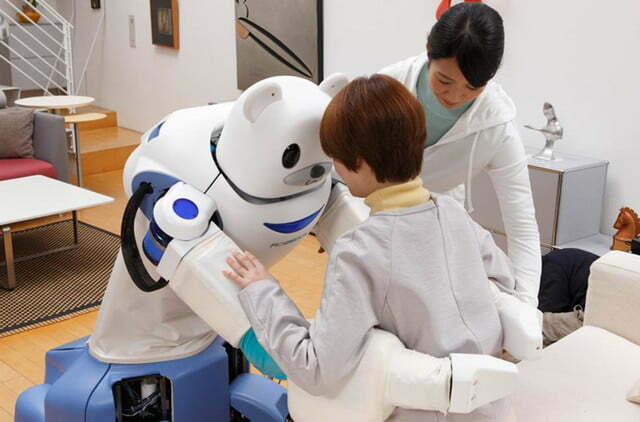 The technology driving the robot allows it to “exert force in a gentle way,” Riken explains on its website. 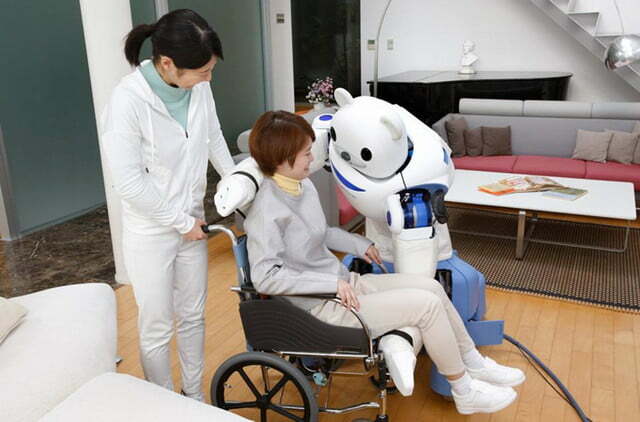 It can also move quickly and precisely, with on-board sensors ensuring it doesn’t inadvertently take down any elderly patients as it moves about its space. 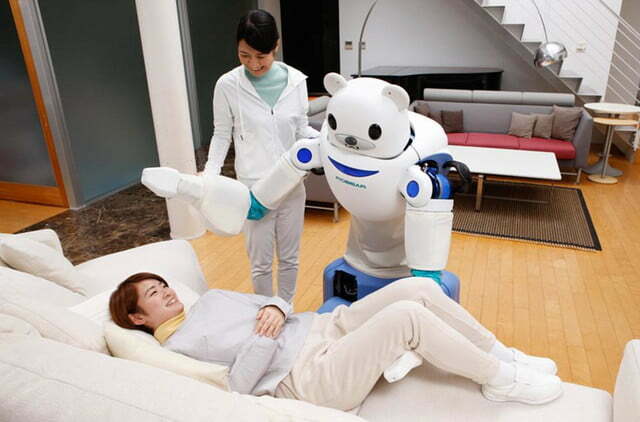 Robear improves on its predecessors by, for example, having a smaller base that makes it more lightweight. 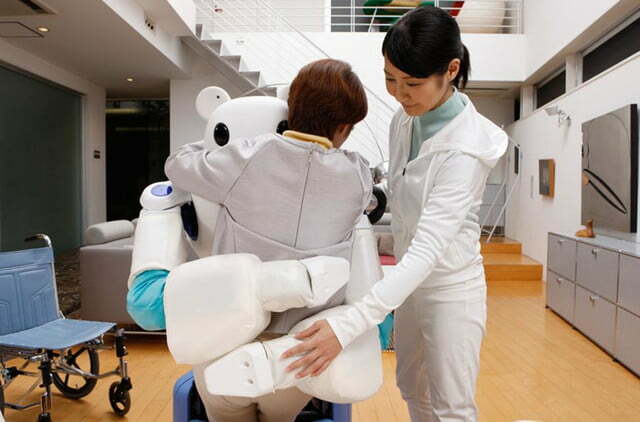 Stability is provided by legs that extend when lifting a patient. When retracted, the base is small enough to allow it to maneuver through tight spaces such as doorways.